The list of current and recently competed grant projects found below highlights various successes across Arizona. The grants team at Arizona State Parks and trails works closely with non-profit and government agencies to ensure Arizona’s trail recreation opportunities remain safe, varied, and clean! Arizona projects built with Arizona grant dollars...It's that easy! The Recreational Trails Program provides funds to states in order to develop and maintain recreational trails and trail related facilities for both motorized and non-motorized recreational trail uses. These funds benefit a wide range of recreation including hiking, bicycling, in-line skating, equestrian use, cross-country skiing, snowmobiling, off-road motorcycling, all-terrain vehicle riding, four-wheel driving, or using other off-road motorized vehicles. The RTP funds come from the Federal Highway Trust Fund, and represent a portion of the motor fuel excise tax collected from non-highway recreational fuel use: fuel used for off-highway recreation by snowmobiles, all-terrain vehicles, off-highway motorcycles, and off-highway light trucks. 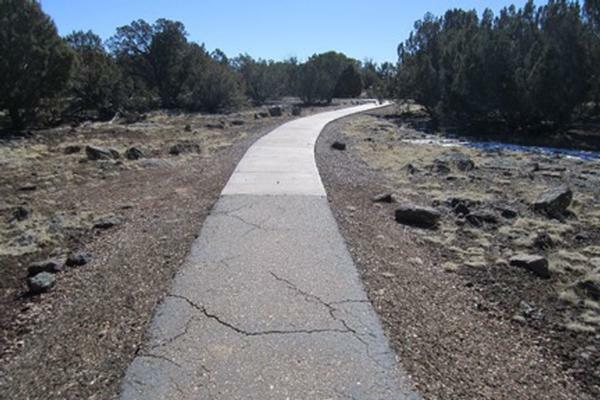 This project will complete a trail going from Prescott to Prescott Valley attaching Glassford Hill Trail to the Iron King Trail. The funding would be used for labor to complete approximately 3.5 miles of this trail. Sonoran Desert Mountain Bicyclists (SDMB) will collaborate with Pima County Natural Resources, Parks, & Recreation (NRPR) on development of 7 miles of sustainable multi-use singletrack, maintenance of 20 miles of existing trail, and closure and rehabilitation of more than 4.5 miles of social trails and dirt road in Tucson Mountain Park. Grant funds will be used to develop and improve trailheads within the park. Funds will also be used to provide ADA accessibility to the park, as well as installing an accessible vault toilet. Funds will also be used to create and install interpretive signage. This project will construct a fully compliant Americans with Disability Act trail, will provide viewing areas, interpretive waysides and needed shade structures in the heat of the summer. 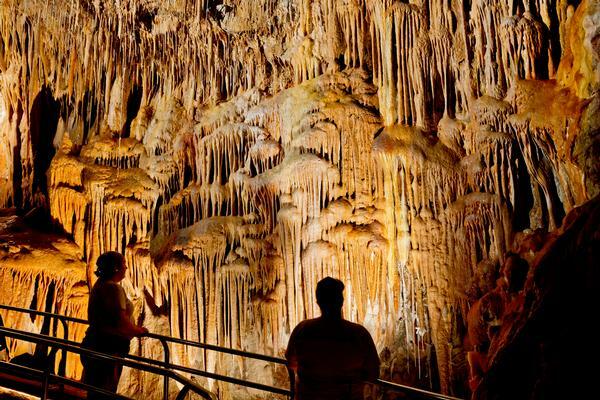 Funds would be used to update cave lighting at Kartchner Caverns State Park. Grant funds will go toward funding the Arizona OHV Ambassador Program, volunteer program that provides a means for private citizens to work with a variety of federal, state, and local land managers and public safety officials in Arizona to promote responsible off-highway vehicle (OHV) recreation on public, state, and private lands. 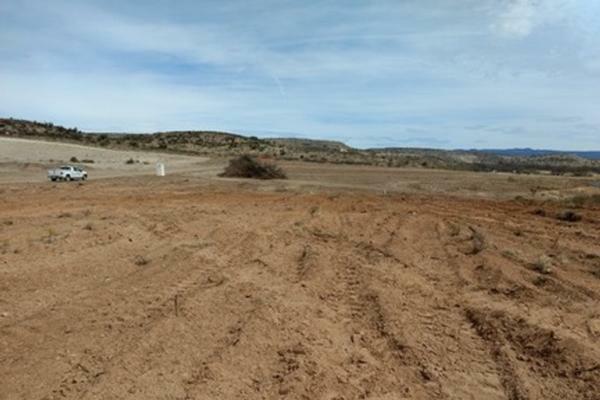 Project will fund the continued construction of a fully-featured mountain bike skills park at the Fort Tuthill County Park located in Flagstaff, Arizona. Funding will additionally be used some for maintenance of existing trails at the park, construction of new signage, and the creation of a brochure outlining the trails and features at the facility. 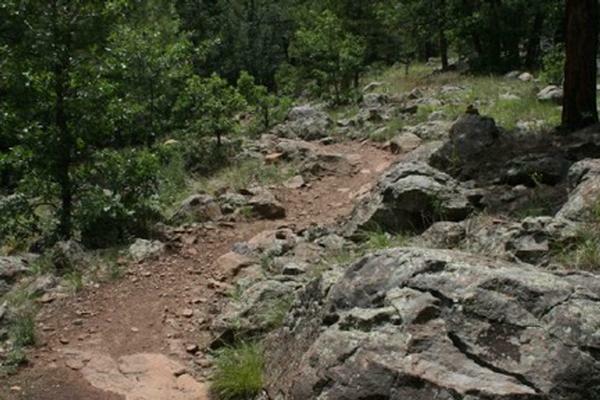 Funds will be used to renovate and upgrade an existing trail at Keiler Park in the City of Willcox. Crews will demolish and remove existing paved surface install new aggregate base. Grant will also provide funds for minor landscaping work, and repair irrigation systems. 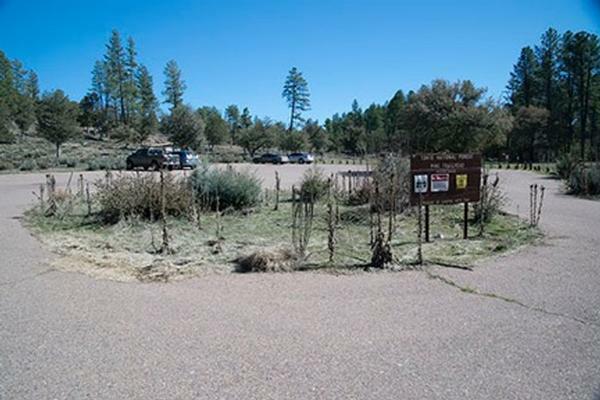 This project will reroute and relocate approximately 18 miles of the alignment of the Arizona National Scenic Trail (AZNST) and to make improvements to existing trail from the Hay Meadows trailhead (TH) to the Gooseberry Springs TH. The grant will fund two 6 man UTV's to help access 24 miles of Back Country Trails accessed by rugged OHV roads. The grant will help provide educational materials on Trail etiquette as well as help develop a campaign to engage the mountain Bike community to donate at least "One day" per year to trail work and advocacy. 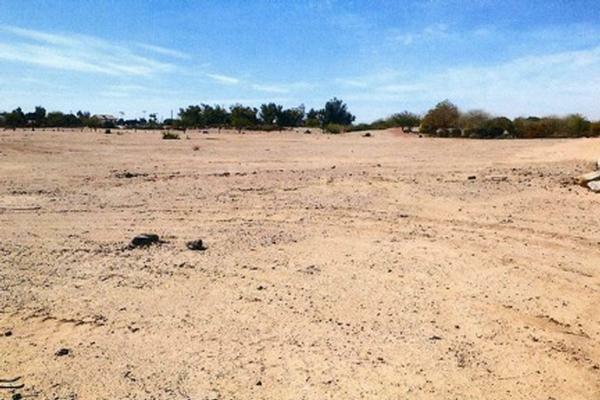 Grant funds will be used by the City of Yuma to complete the creation of non-motorized trails. Grant will pay for renovating and maintaining trails, mitigating and restoring new and existing trails, curb stops, new trail access, and the creation of maps. 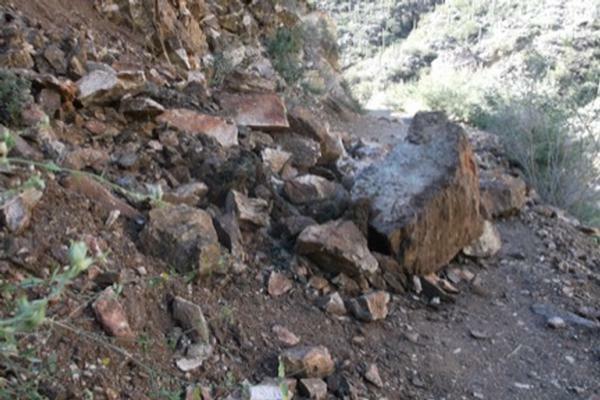 Funds will be used to repair and maintain sections of Goat Camp trail, located in White Tank Mountain Regional Park. The project includes installation of new and replacement trail markers and the installation of trail safety signage. Trail markers that provide Information on direction and distance will be the main focus with additional signage for trail difficulty and safety signage provided at the completion of the project. 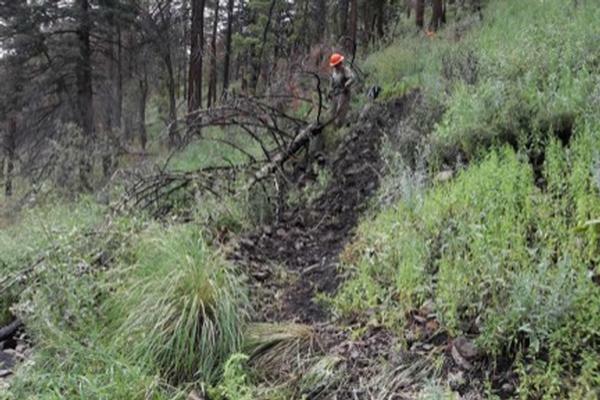 Work to restore and maintain trails within the Bear Wallow Wilderness. Work includes installation and repair of drainage structures, restoration of the trail through severely damaged areas, remarking by use of cairns and trail signs, removal of fallen trees and clearing of flood-deposited debris. Mitigation and restoration will also occur on a section that experienced extreme damage from post-Wallow Fire flooding. Wilderness signs as well as damaged trail signs will be installed. Additionally, an interpretive panel on fire education relating to the Wallow Fire will be installed at each trailhead. Maps will also be developed. The Pink Hill Trail in Saguaro National Park's Rincon Mountain District is badly rutted in sections due to erosion, poorly layed out trail, and hiker/stock traffic. This trail rutting has become a safety hazard for visitors; in particular, stock users have reported animals falling over in these rutted sections. When this work is complete the Pink Hill Trail will be a safer and more enjoyable trail for all visitors that use this very popular trail in Saguaro National Park. Glen Canyon National Recreation Area, in partnership with The City of Page, Arizona are currently developing the Horseshoe Bend area into a world class environmental tourist destination. The funds from this grant will be directly used to assist in the construction of the trail and providing trail signage and interpretive media within the National Park Service boundary. Funding for this project will pay for the purchase and installation of trail signs, and support the BLM in its effort to create and distribute maps for the area. This project includes construction of 1.73 miles of the new Ocotillo trail as well as maintaining and renovating the trail. Project will also replace wooden stairs along the 2.5 mile connecting portion of the existing Foothills Loop trail at Kartchner Caverns State Park. This project will fund the construction of a new non-motorized trail connecting Buckskin Mountain State Park with River Island State Park. Work will include trail construction, installation of trail signage and kiosks and the development of maps. This grant will fund the completion of 730 feet of the accessible trail beginning from the trailhead. The project will also restore the trailhead accessible parking with new concrete, signs, striping, and trash receptacle. It will also add shoulder material to protect the trail from erosion and washouts, and boulders to prevent motorized access in unauthorized areas. In addition, grant will fund interpretive signs, entrance map on the kiosk and educational panels along the trail. Funding will support various trail maintenance and stewardship events hosted by the Maricopa Trail and Parks Foundation. Grant will help recruit and train volunteer Regional Stewards, Segment Stewards, Trail Volunteers, and Youth Corps who will keep the Maricopa Trail in sustainable condition, both now and in the future. The 2017-2019 project training program also includes two professional plant care and removal training Workshops, two professional wilderness first aid workshops, and three Maricopa Trail Segment Steward training workshops. Funds will be used to maintain trails in the Santa Catalina Ranger District. Work to be completed includes corridor expansion, brushing, logging and tread work in order to mitigate public health and safety concerns. These funds will also be used to provide training opportunities for volunteers as they work together with the conservation crews to accomplish these projects. 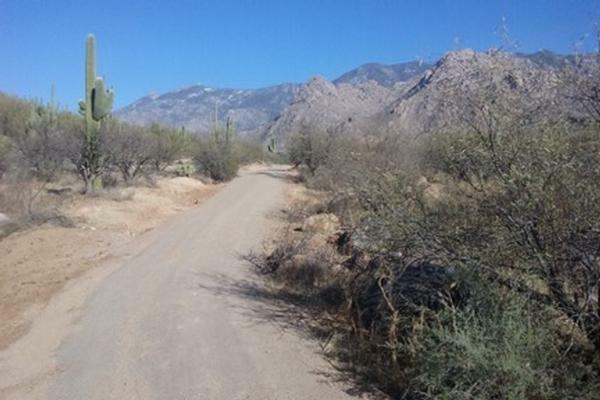 This project will fund the improvement and renovation of 1.4 miles of the Bridle Trail in Catalina State Park. 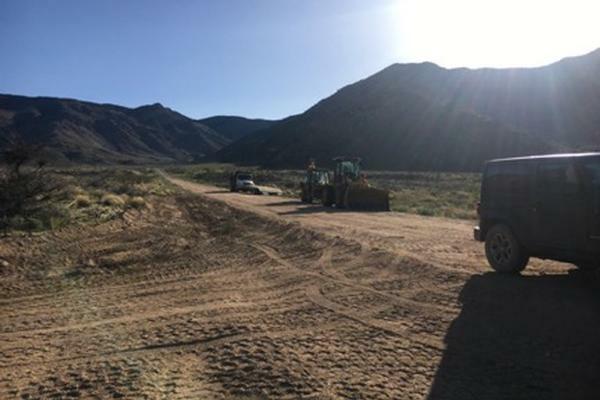 Material haulers, compacting equipment, water truck, and a vibratory roller designed for trail work will be used to spread and compact the surface. Other work to be completed incudes clearing brush, pruning encroaching vegetation and further manicuring the trailhead. This project includes the completion of the Pine Loop Trail, a three mile loop from Pine Trailhead comprised of a section of the AZT/Highline Trail, the Pine Canyon Trail, and Pine View Trail. Contracted youth crews will complete a 1.12 mile reroute of Pine View Trail, restore old tread, and provide maintenance from the trailhead to the new trail section. New signage will be installed with updated enforcement information. Trailhead improvements include the establishment of an interpretive display, and installation of picnic tables. A comprehensive updated trail map will be provided in an existing kiosk. This project will restore and upgrade the historic Colonel Devin Trail north of Washington Park Trailhead. Two foot bridges will be built to accommodate cyclists and equestrians. A short section of a severely eroded social trail will be closed and the route reclaimed, and a neglected section of the Highline Trail will be reopened and restored. Also, trail signage and interpretive kiosks will be developed and installed. 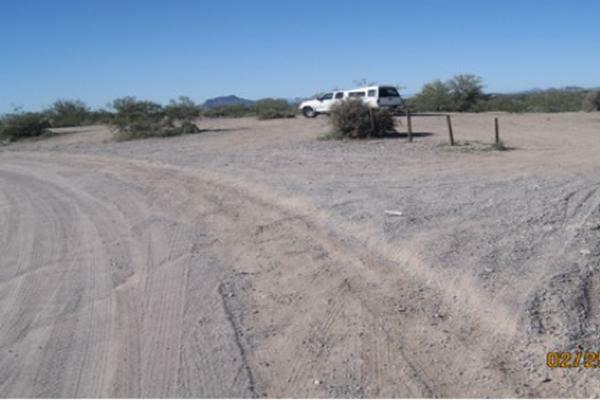 Grant funding will be used by the Town of Marana to convert a 2 acre lot into a trailhead parking area on the northern side of Tangerine Road. The trailhead will be a graded and compacted and provide parking for 25 vehicles, and space for 6 horse trailers and trucks. The trailhead will include bike racks, a hitching post, refuse receptacles and signage. 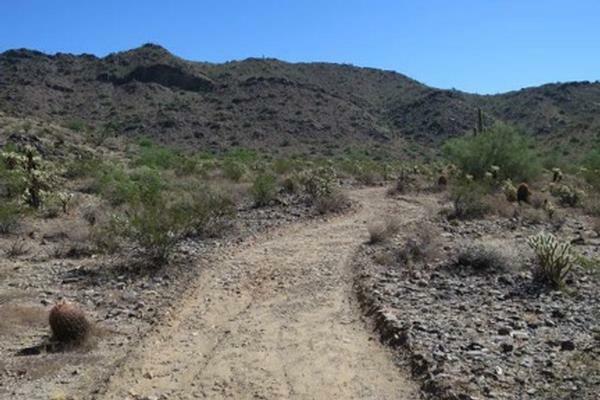 The City of Buckeye will use grant funds to install a 2/3 mile accessible trail in Skyline Regional Park, install interpretive panels along the accessible trail, construct a trail to connect with the Sienna Hills community, and update park kiosk maps. This project takes place within the Cerbat Foothills Recreation Area (CFRA). Grant funds will be used to construct a barb wire enclosure around Gross Spring, develop interpretive panels showing the archeological, biological, and geological significance of the CFRA, and construct approximately 5 miles of new non-motorized trail within the CFRA. Maps depicting a trail users current GPS location and position will also be designed and installed. Funding will be used to construct a 1.65 mile long non-motorized, multi-use trail with associated vehicle entry road and parking for passenger vehicles and tow vehicles with horse trailers. Trailhead support facilities will include a handicapped accessible toilet, shade ramada, trailhead kiosk, informational signage and horse hitching rails. Two interpretive points along the trail will incorporate four interpretive panels with information on the white limestone cliffs, the riparian corridor, local geographic features and significance as well as early settlement patterns visible from the park. This project will fund the maintenance of approximately 7 miles of trails 318, 324, 392. It will also fund installation of a double panel kiosk and the development of an approximately 24,000 square foot trailhead at White Rock. 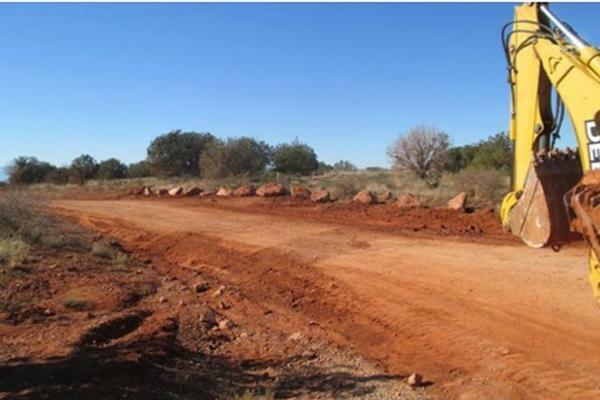 This trailhead will provide parking for use by vehicles, and up to 8 horse trailers. Grant funds will be used to address issues related to visitor safety, information, and education in areas surrounding Sedona. Funding will be used by BLM to maintain approximately 30 miles of existing routes in Hualapai, Cerbat, Music and Black Mountains. Project will also fund the replacement of kiosks, and establishment of trailhead facilities in the Black Mountains. Grant funds will be used to further develop curriculum specific to safe, responsible usage of Flagstaff’s recreational trails. Lead teacher training, student expeditions, and school-based programs. Coordinate partnership efforts to connect community agencies with schools and youth. Make final curriculum available to local teachers and agencies. Incorporate new curriculum into Willow Bend’s future programs. City of Phoenix Sky Harbor International Airport. 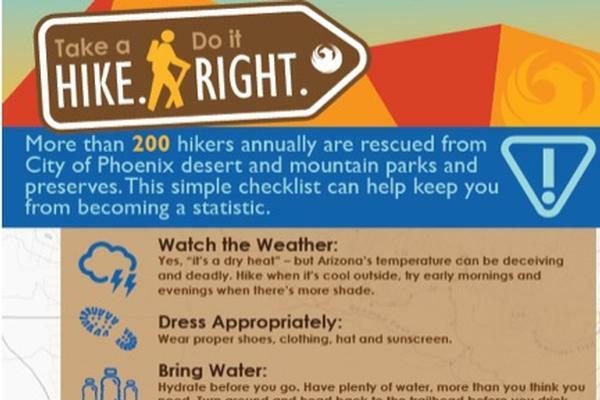 Supplemental advertisement campaign with key components of the Take a Hike, Do It Right! movement advertised at City of Phoenix Convention Center and Venues. In addition, the City of Phoenix would like to provide Wilderness First Aid/CPR courses for the City of Phoenix Park Rangers. Funds will be used to construct and maintain trails and provide training workshops, developed and presented by ACE professionals. The workshops emphasize the unique techniques used while working within arid landscapes to maximize trail sustainability and reduce impact. Emphasis upon safety and leadership is integrated into each session. This project includes updating, editing, and adding new equestrian trails information to the equestrian trails guidebook titled “Horse Trails in Arizona.” The guide will be made available in both printed and e-book formats. This project will accomplish the publication of a 3rd edition guidebook with comprehensive equestrian and other trail users’ safety and educational information for more than 100 statewide public trails and trailheads that include all counties in the state of Arizona. Arizona Horse Council will use funds to produce four (4) training programs and environmental training materials that will educate equestrians and other motorized and non-motorized trail users on specific safety guidelines related to equestrians. The funds will provide for the writing, photography, graphics, and production of a series of “best practices” informational printed and e-brochures, videos, exhibit booth educational materials. This project will continue maintenance, rehabilitation and improvements to OHV routes in Mesa Ranger District. 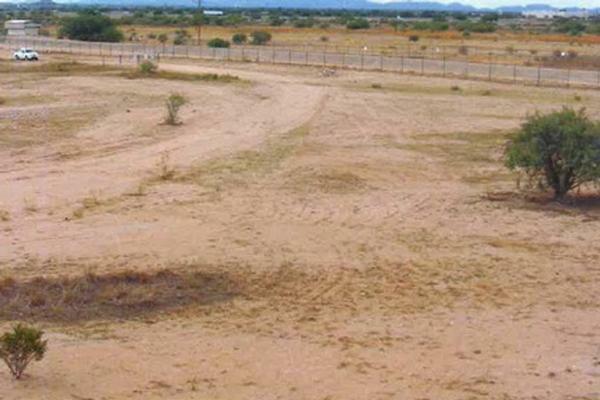 Impacted land will be rehabilitated, and replanted. Signage, and pipe rail will also be installed. The Honey Bee Canyon Park Trail Rehabilitation Project will include routine trail maintenance on the existing 2.03 miles of trai ls within the 62-acre natural passive park within the Rancho Vistoso master planned community. The Honey Bee Canyon Park trail system connects to other Oro Valley and Pima County trails. This project is the first in many phases that will eventually upgrade the trail system to make this safer and more sustainable. Work will include sign replacement, materials for surfacing, grading tread, box steps, replacing water bars, creating grade dips, ditching, brush removal and kiosks. The primary goal for the youth corps selected would be to maintain the Hamburg trail #122 from the Wilderness Boundary to the junction with the Crest trail/AZT. Along the way they would be replacing 6 signs at three trail junction areas. After maintaining the Hamburg trail, they move to the Crest, picking up where AWC left off. Then Pat Scott Canyon, back down to Brown canyon and if any time permits, Comfort Spring trail. 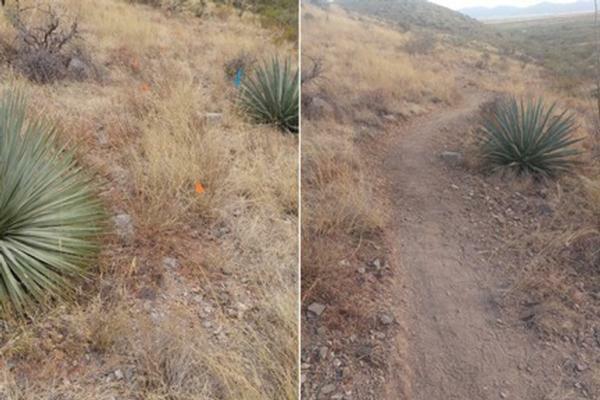 This project will rehabilitate and improve approximately 15.5 miles of trail in the Superstition Wilderness. This project proposes to build 715 feet of 4 foot wide accessible trail,which will provide access from the day use parking area to a proposed kayak launch area, beach and eventually an ADA fishing platform on the Colorado River. The currrent trail has been washed out over the years and is no longer accessible. It will give accessible people access to the beach area and the bank of the river to fish and enjoy the scenery. 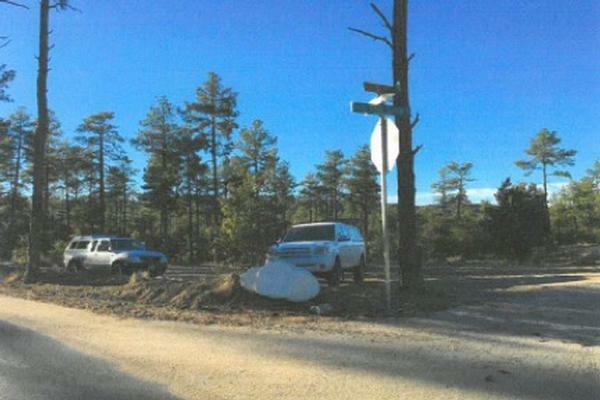 The Town of Florence project proposal is for maintenance of the trail leading to the summit of Poston Butte. 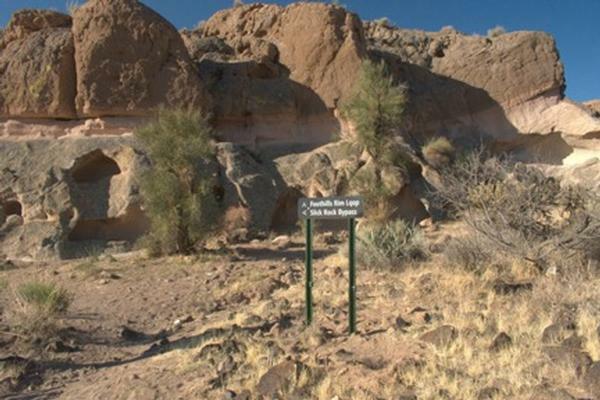 The trail leads visitors 0.5 miles to the summit of Poston Butte, the site of the pyramidal tomb of Charles Poston, the primary activist in the creation of the territory of Arizona. 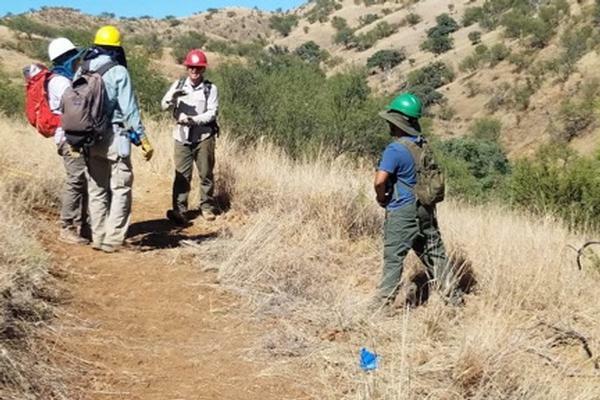 This project includes maintenance of two trails totalling 6.26 miles in Sycamore Canyon Wilderness. Lonesome Pocket Trail #61 and Henderson Trail #53 both require brushing, clearing of pathway, and vegetation management. 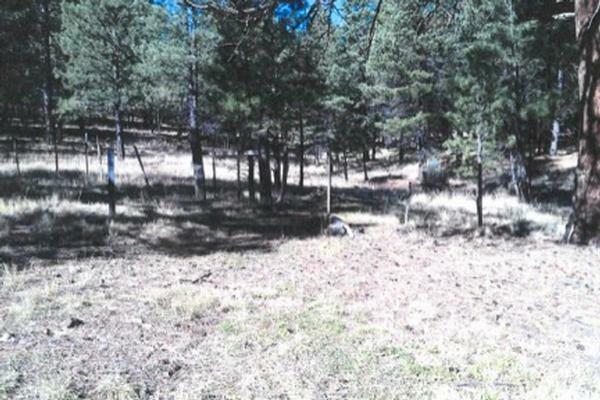 This project includes the maintenance of two trails totalling 10 miles all within the Cedar Bench Wilderness Area. 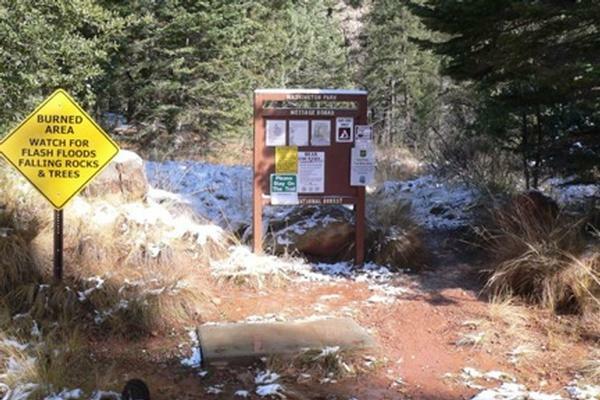 Chasm Creek Trail #164 and Squaw Peak Trail #518 both require brushing, clearing of pathway, and vegetation management.